Many people know that Albert Einstein (1879–1955) was the creator of the theory of relativity that revolutionized modern science. What, perhaps, they don't know is that he did not learn to speak until he was 4 years old; that he was asked to become the President of Israel in 1952, but refused; that he was under surveillance by the FBI for 22 years; and that after urging the development of the atomic bomb, he later became a proponent of nuclear disarmament. 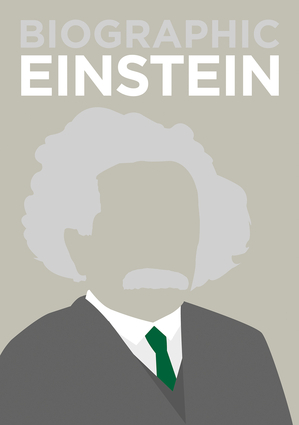 Biographic: Einstein presents an array of irresistible facts and figures converted into infographics to reveal the scientist behind the science. Brian Clegg is the author of The God Effect; has written for Nature, BBC History, the Times, and the Wall Street Journal; and is the editor of www.popularscience.co.uk.